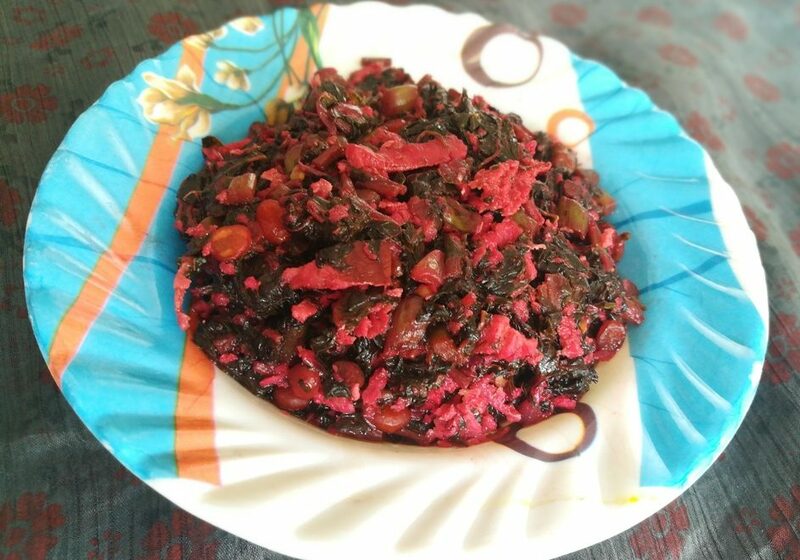 How to make ven pongal recipe? 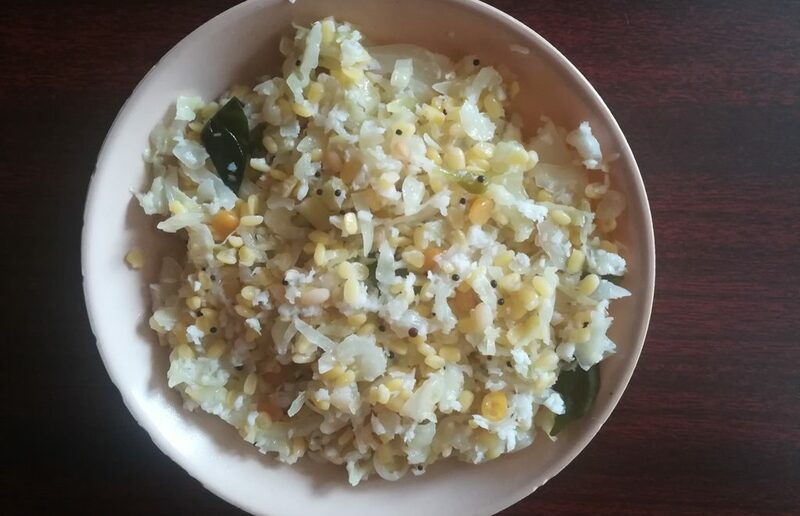 Ven Pongal recipe is a famous south Indian breakfast recipe goes well with sambar and coconut chutney. its also known as khara pongal. learn how to make ven pongal now. First wash the raw rice two times in water and soak in water for 15 minutes. Rinse the split moong dal and soak in water for 15 minutes. After 15 minutes drain the water and keep it aside. Next add minced ginger, green chili and curry leaves fry for a minute. Now add washed raw rice and moong dal. then add required salt and four tumblers water. Allow it to boil now check salt of ven pongal and close the cooker and cook up to 3 whistles. 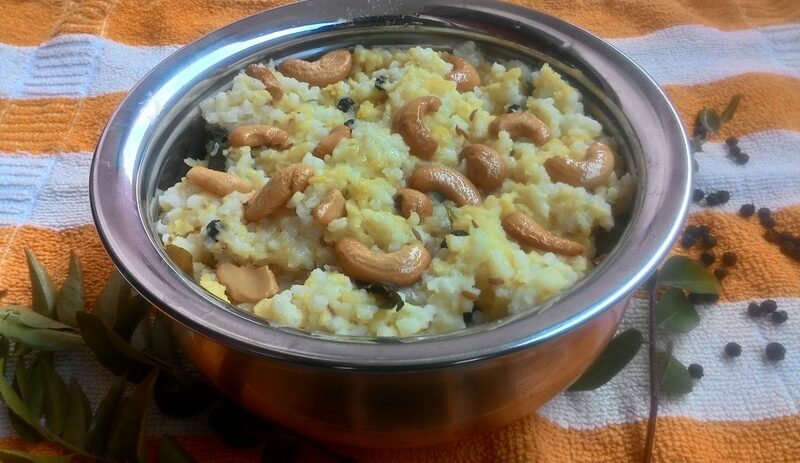 After pressure cool down, open the cooker and add 2 spoons ghee in a kadai when it is heated add cashew nuts and fry till it become golden brown then pour in to the pongal and gently mix well the ven pongal. 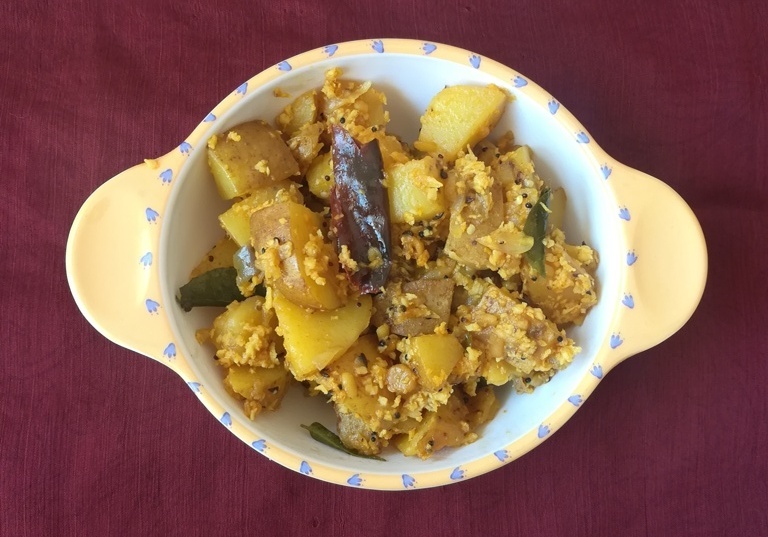 Transfer the ven pongal in to serving plate and serve with coconut chutney, sambar and gothsu. The measurement of water should be measured in rice measuring tumbler only. You can also use crushed black pepper and cumin seeds. Another method to cook ven pongal is, first cook the raw rice and moong dal in a cooker using ghee and salt. After that temper the cumin seeds, pepper, green chili, ginger and curry leaves in ghee and pour it to the cooked ven pongal and mix well. Use correct measurement of water to cook ven pongal.